Nigeria’s U20 Women National Team, the Falconets, have touched down in the Austrian city of Tirol for a final training camp ahead of the 9th FIFA U20 Women’s World Cup finals taking place in France next month. Twenty five players and eleven officials, led by NFF’s Assistant Director (Technical), Siji Lagunju (a former Nigeria international) and including Head Coach Chris Danjuma and his assistants Wemimo Mathew, Mansur Abdullahi, Lateef Yusuf and Precious Dede, departed on Friday night. A final list of 21 players will emerge before the training camp comes to a close, with the four players that fail to make the final cut flying back to Nigeria. Lagunju confirmed to thenff.com that the 2010 and 2014 FIFA World Cup runners –up will spend 12 days in final training camp in Tirol, where they are lodged at the Explorer Hotel. The U20 girls remain Nigeria’s most successful women’s team at global level, winning silver at the FIFA World Cup twice (Germany 2010 and Canada 2014) and bronze once (Japan 2012), and reaching the quarter finals in Thailand (2004), Russia (2006) and Chile (2008). 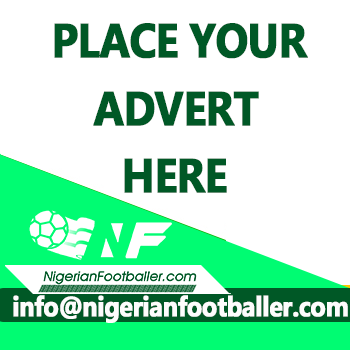 Nigeria will battle Haiti, China and Germany in Group D of the 16 –nation finals, while Africa’s other flagbearer Ghana must negotiate a tough Group A against host France, New Zealand and The Netherlands. Group B has North Korea, England, Mexico and Brazil while USA, Japan, Paraguay and Spain fight things out in Group D.
The Falconets’ opening match is against perennial foes Germany (who beat Nigeria in the 2010 and 2014 Final matches) at the Stade de Marville in Saint-Malo on Monday, 6th August, before clashes with Haiti at the same venue on Thursday, 9th August and against China in Dinan/Léhon’s Stade de Clos Gastel on Monday, 13th August. To qualify for the finals, the Falconets dismissed Tanzania’s U20 girls 9-0 aggregate, brushed aside Morocco 6-2 on aggregate and whiplashed their South African counterparts 8-0 over two legs in January this year.